LITTLETON, Colorado – March 6, 2018 – Whether searching for unique souvenirs or the latest designer trends, shopping is big business for travelers visiting Europe. 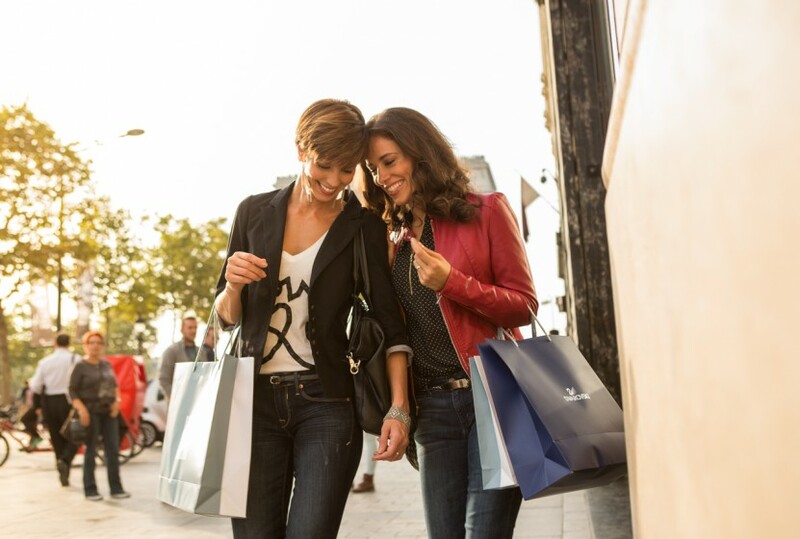 And while most are familiar with Europe’s famous shopping streets and districts – from Bond Street to Champs Élysées – locals keep their favorite shopping neighborhoods to themselves. Now, Monograms’ Local Hosts® are offering travelers insider insight into their favorite (secret) shopping enclaves. Via Dei Coronari – A narrow pedestrian street that connects Novona Square with Ponte Sant’Angelo and the Tiber, here, travelers will find charming antiquarian shops worth a visit. Via Cola di Rienzo – Located in the Prati District by the Vatican, this bustling neighborhood is filled with Romans and shopping galore. Via Margutta – This is a short Roman street with a long, Roman history (dating back more than 2,000 years). Once the street of painter’s ateliers, this colorful road is now home to smart and exclusive design shops. Its romantic backdrop is also featured in Roman Holiday. Marais’ Rue Charlot – Discover “real” Marais shopping here in a tangle of tiny streets featuring creative boutiques and up-and-coming designers. While here, take time to stop by the Jewish Quarter. Rue de Charonne – Hidden away behind the Bastille lies a neighborhood tailor-made for an afternoon or retail therapy. Celetná Street – Take a walk down one of the oldest streets in Prague and find Bohemian cut glass, jewelry and more. Havelský Market – The only market left in the center of Old Prague (it’s been there since the Middle Ages), here, you can find everything from flowers, fruits and vegetables to souvenirs. Parizska Street – Considered the most exclusive – and expensive – street in all of Prague, enjoy designer duds and restaurants galore from Old Town Square through the former Jewish Quarter. Servinplatz – This is a cozy square with benches, trees, coffee bars and pubs. Its surrounding streets – Servitengasse, Berggasse and Porzellangasse – offer locals and tourists alike a village-like neighborhood with leisurely shopping. Hackescher Markt – It may not be off-the-beaten-path, but this neighborhood boasts a maze of Berlin’s trendiest shops and coolest art galleries. Mitte District – A chic, progressive German neighborhood, the Mitte District is home to some of Berlin’s most alluring cafés, galleries, design studios and boutiques. DEAL ALERT: Looking for a deal on a better way to travel? Monograms is offering SAVINGS on select Rome vacations, now through March 31, 2018. For more information about Monograms visit monograms.com or blog.monograms.com.